Oatman started life over 100 years ago as a mining tent camp, and quickly became a flourishing gold-mining center. 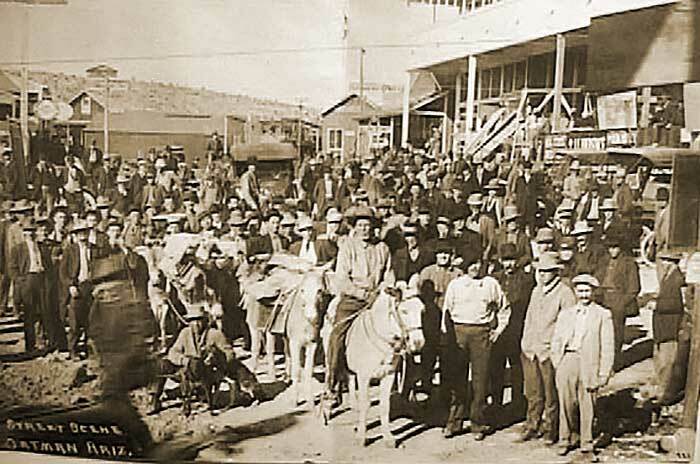 In 1915, two miners struck a $10 million gold find, and within a year, the town's population grew to more than 3,500. 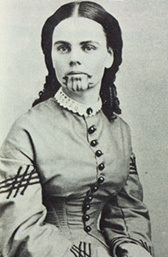 Oatman was named in honor of Olive Oatman, who as a young girl, was kidnapped by an Apache tribe, sold toMojave Indians and later rescued in a trade in 1857 near the current site of the town. Oatman was served by a narrow gauge rail line between 1903 and 1905 that ran 17 miles to the Colorado River near Needles, California. good. 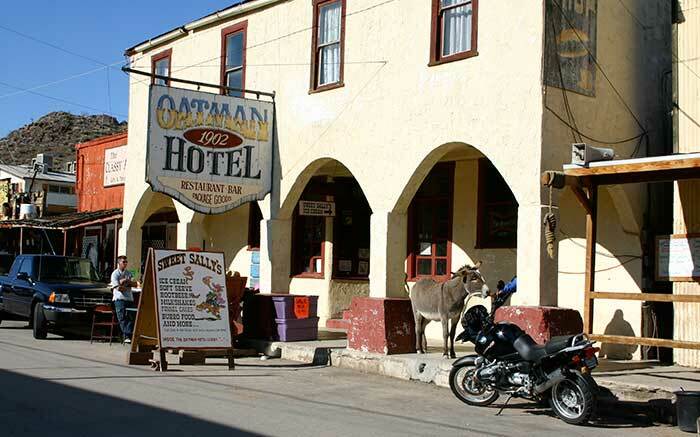 Oatman survived by catering to travelers on old U.S. Route 66. But in the 1960s, when the route became what is now Interstate 40, Oatman almost died. Oatman is a fun place to visit -- an authentic old western town with burros roaming the streets and gunfights staged on weekends. The burros are tame and can be hand fed. When my wife and I visited in January, I was surprised to see five old Model T Fords out for a Sunday drive down the main street of Oatman. The cars fit right in with the romantic image of this old town, taking us back to 1915 era old west. Clark Gable and Carol Lombard honeymooned at the Oatman Hotel March 18, 1939. 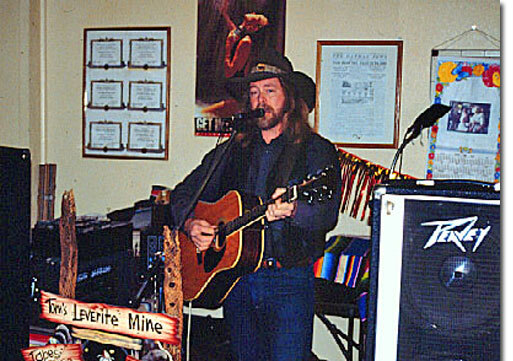 Their honeymoon suite is still one of the major attractions at the Oatman Hotel. Gable returned there often to play poker with the local miners and enjoy the solitude of the desert. 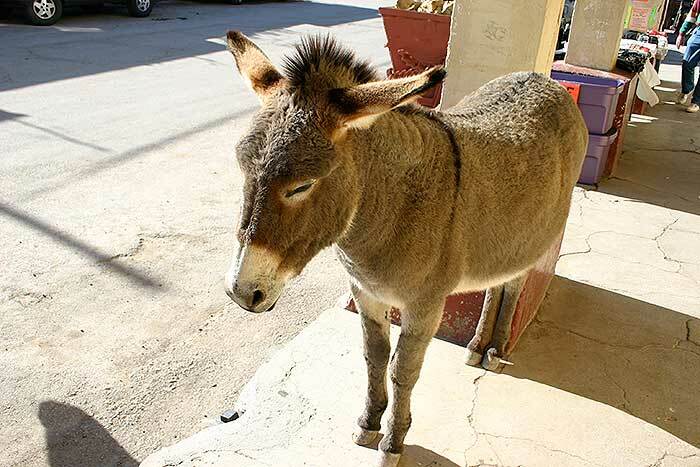 Oatman's "wild" burros are the descendants of burros brought here by the miners in the late 1800s; when the miners no longer needed them, they were turned loose. Each morning they come into town looking for food. They wander the streets and greet the tourists. Burro pellets and carrots are for sale at many of the shops -- the burros will eat all day if you feed them. Shortly before sunset they wander back to the hills for the night. 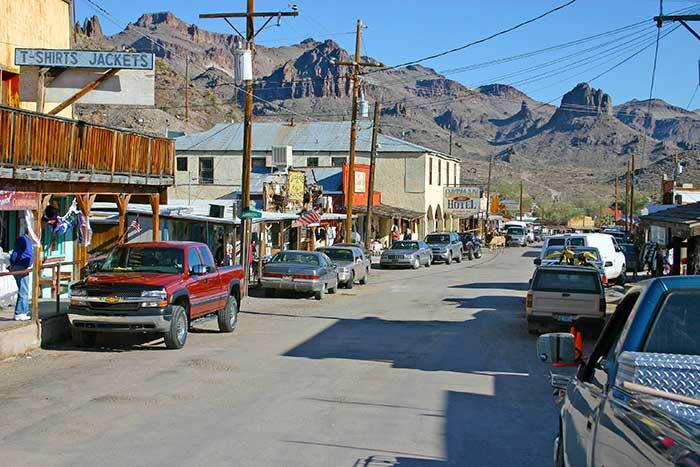 There are plenty of shopping opportunities in Oatman. Many of the shopkeepers make their own products and obtain other rare and interesting items from far and near. There are many handmade leather goods, handmade Indian jewelry and excellent knives sold right from the wooden sidewalks running the length of the town. One of the more colorful shopkeepers is known as Betty the Bead Lady, who for many years, drilled beads and sold them to the Navajos for their jewelry making. She is still a fixture in downtown Oatman operating three retail establishments -- stop in and visit her. My wife Donna found more than a few encumbrances she couldn't resist, and that's the only reason we didn't stay longer. But shopping does make you hungry so we stopped at a little bar and restaurant on the main street called the Mission Inn. We ordered a hamburger and some of he best chili we ever tasted, then sat back and listened to great country music while sipping our beers. Next to us sat a group of locals, including a woman who was telling some hilarious stories. She called herself a "sit-down comedian." What a fun time! 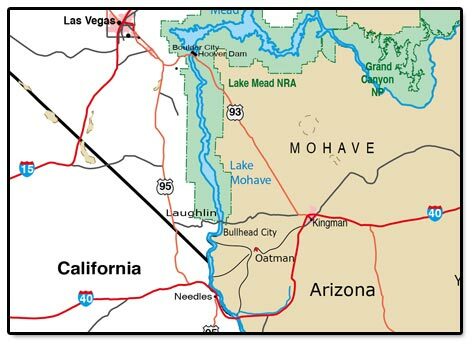 There are two main roads linking Oatman to State Highway 95. One is paved and the other is a dirt road leading to Bullhead City about 25 miles away. The dirt road is in fairly good condition and is certainly a pleasurable egress from Oatman. The scenery along this route is excellent and will really make you feel like you're back in the untamed days of the old west. You can see the old mine tailing piles and a fascinating variety of desert vegetation and rock formations. We always like to stop along the road and enjoy the sights, the smells and the silence of the open desert. Most of today's cars would have little trouble on this road when it is dry. Your cellular phone will probably work most of the way, too. We're headed over to Chloride for a little mountain air. Maybe we'll run into you there. Till then, keep your eyes peeled for varmints. This applies double if you're headed back to the city.